Catch You Some Oregon History This Week! Seven days and three events. It will certainly be a busy week, and you’re bound to catch some Oregon History, one way or another. On Sunday the 11th, we’ll be at Turn! Turn! Turn! (8 NE Killingsworth) at 6:30pm for our podcast release party – “Policing in Oregon!” Resident Historian, Doug Kenck-Crispin will share some of his research on Charles Moose, Portland’s first black police chief, and how he used the bureau to help create his own specific flavor of gentrification in North and Northeast Portland. JD Chandler will discuss the early issues of self government and policing in Portland from the City Marshals through the founding of the Police Department in 1870. JB Fisher will chat about this specific date (9/11), Kenton, the Multnomah County Sheriff’s office and the 1955 bribe that shook Portland. We will also talk with retired PPB Detective Don DuPay, and hear his stories about policing this neighborhood in the 1960s and 70s. And just in case that’s too talky-talky for you, we will view some classic Portland police news footage and you might even catch a glimpse of a young, less pissed-off Lars Larson. The cost of the program is just 5 bucks! 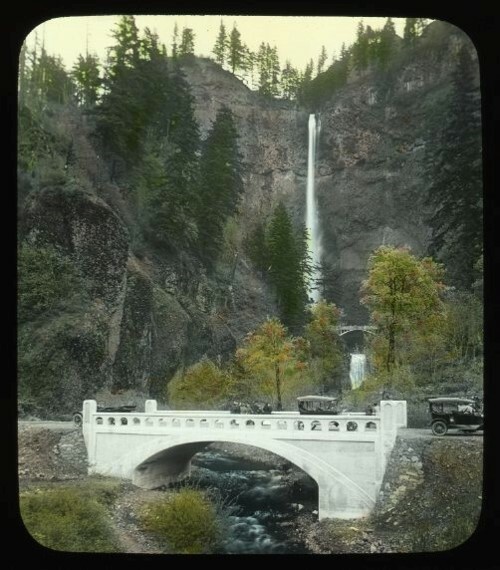 We have a private event on the 13th, and then on Sunday the 18th, DKC will join Matthew Cowan of the Oregon Historical Society at the Mayhill Museum in Goldendale for “A Road Suited to the Times”: The Columbia River Highway at 100. The presentation is comprised of glass lantern slides of the construction of that famous highway and an original narration written by the Resident Historian – right in the Columbia River Gorge… this one starts at 3:00pm. If you don’t catch any Oregon History this week, I just don’t think you’re trying very hard!